Have kids? You’ll love these 5 ideas for what to do on Valentines Day, as a family! These creative ideas for things to do on Valentine’s Day will help your family connect. Have kids and trying to decide what to do on Valentine’s Day? Maybe you can’t sneak away for a date night, but that doesn’t mean you can’t celebrate. Or, maybe you’d like to find things to do on Valentine’s Day as a family, with kids! 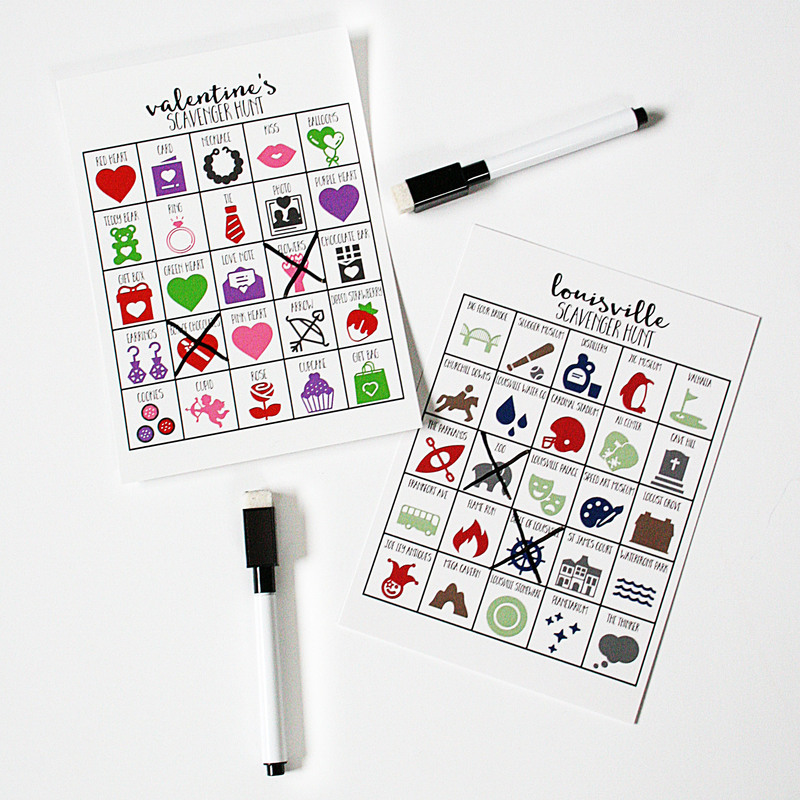 This list of 5 unique Valentines ideas is versatile — for a variety of ages, stages, and family sizes. Take the opportunity to lift each other up on Valentines. Yes, it’s a holiday about romantic love and lots of candy, but we can be more intentional with this commercialized occasion. With Ephesians 4:9 in mind, I love this idea from Evolving Motherhood. She gave her kids a Valentine’s Day “heart attack” (don’t worry – it’s a good heart attack!) as a way to encourage her children. Let no corrupting talk come out of your mouths, but only such as is good for building up, as fits the occasion, that it may give grace to those who hear. Especially if you have older children, consider a night at the theatre for Valentine’s Day. Yes Louisville recommends supporting your local theatre on Valentine’s Day (along with 8 more unique Valentines ideas that work as #giftsforall). Not only will you be supporting local businesses and the arts, but your family will have a special night out! Yes, it’s a holiday about romantic love and lots of candy, but we can be more intentional with this commercialized occasion. Jump in the car and take a city tour or a scavenger hunt around your hometown. If you’d rather walk, head over to the closest mall and compete in a Valentine’s Day Scavenger Hunt. See which family members can find the most Valentine’s Day items throughout the stores, banners/signs, and decorations. Older kids and teens will especially enjoy the competitive aspect of this Valentine’s Day activity. If you have children who love to build, tinker, and experiment, work on a science project together. You won’t even have to leave the house, yet you’ll get to enjoy quality family time for the Valentine’s Day holiday. Check out Living for the Sunshine for a great list of 9 Valentines-themed STEM activities. Another easy at-home Valentine’s Day activity is to celebrate with an extra special dinner. What’s an extra-special dinner? The works! Candles, flowers, fancy table settings, and a special meal. A Crafted Passion shares the sweetest elegant family dinner (you’ll love her fruit and dessert charcuterie board). This is going on my definite to-do list for Valentine’s Day 2019. So, What to Do on Valentines Day? Pick one of these unique Valentines ideas and make V-Day 2019 a bit more exciting, for the whole family! 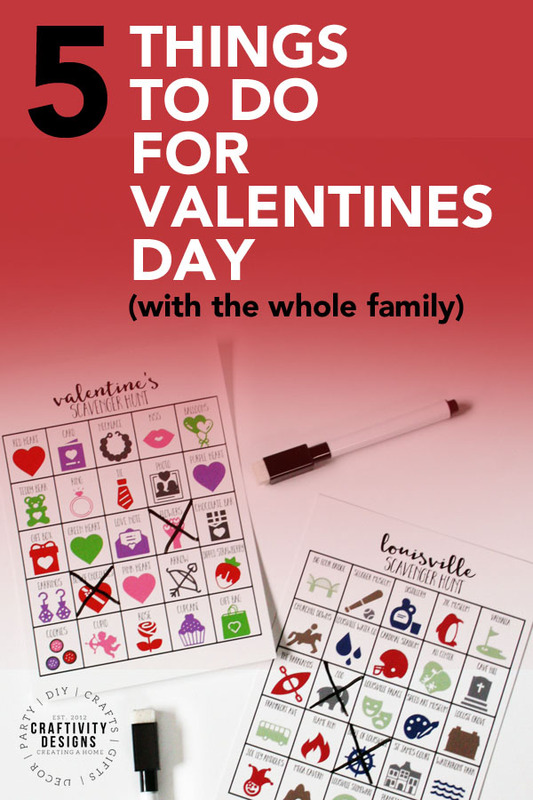 Rather than just schedule a date night (though, you should still do that) and give the kids conversation hearts, be intentional with the holiday. Take the chance to encourage the kids, support local businesses, play a game, or cook together. Do something special, that’s also meaningful. Create a home by celebrating Valentines Day, together! Like this post? Save it by pinning it!